lynch. 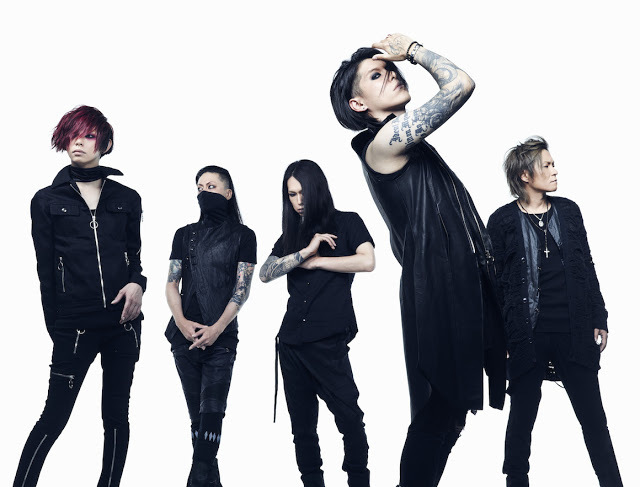 - Bassist Akinori to leave the band + Official Statements | VKH Press – J-Rock & Visual Kei Coverage Worldwide! I, Akinori, was arrested by Aichi Prefectural police and charged with possession of marijuana under the Cannabis Control Law on November 22nd, 2016. I was indicted on December 13th. Due to my own reckless behaviour, I have caused an unforgivable scandal and given a great deal of trouble to the band members, staff and related parties. For that I am deeply sorry. Also, to all the fans that have continually supported me, I apologize for upsetting and disappointing you. I am so sorry. I told the other members directly that I planned to leave lynch. which they acknowledged, so this is my official announcement. As this is the final word, I am extremely sorry to all the fans, staff and related parties for all the trouble that I have caused. I’m extremely grateful for all the support you have given me till now. On November 22nd, 2016, we received the report that bassist Akinori was arrested by Aichi Prefectural police and charged with possession of marijuana under the Cannabis Control Law. Although it was a bitter decision for him and the members, this is the announcement that Akinori has officially decided to leave the band. We apologize to all the fans, staff and related persons for the trouble that we have caused. From the bottom of our hearts, we are sorry. From hereon, the 4 of us plan to continue our music activities as lynch.. However, we will refrain from any band activities for the time being and any future plans will be announced subsequently. Your understanding and support is essential for us to continue our activities so please continue to support lynch.. Thank you for always supporting lynch..
Bassist Akinori was arrested by Aichi Prefectural police and charged with possession of marijuana under the Cannabis Control Law on November 22nd, 2016 and indicted on December 13th. The result of consultations with the other members is that we’re taking heavy responsibility for this prosecution and so, on December 20th, 2016, bassist Akinori, will terminate his contract and withdraw from lynch..
To all the fans and other parties who have supported us, we deeply and humbly apologize for all the trouble and worry that we have caused. In addition, the band will refrain from any live activities for the time being and upcoming performances will be cancelled. Any activities after that will be released in subsequent announcements. lynch. looks forward to your continued support. Please check the homepage for additional information.